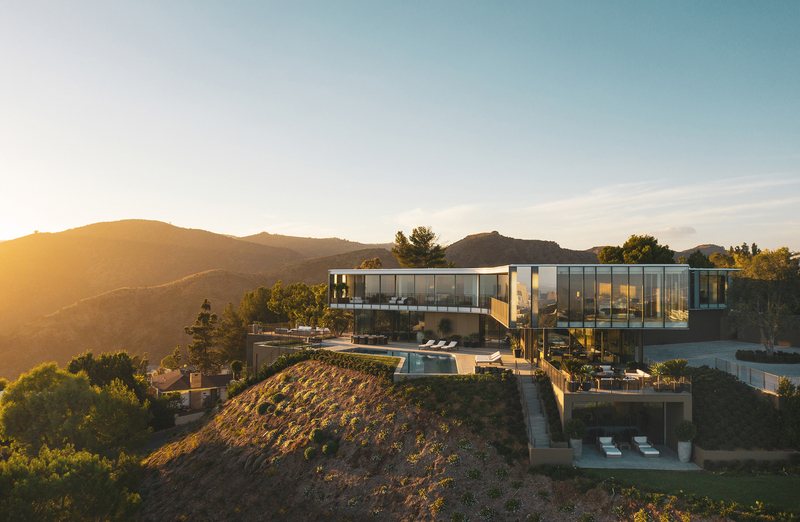 Given its prominent positioning above a relatively developed neighborhood in Los Ángeles, the motivation behind the design of the home was to create a residence that could meld into its surroundings while maximising views. 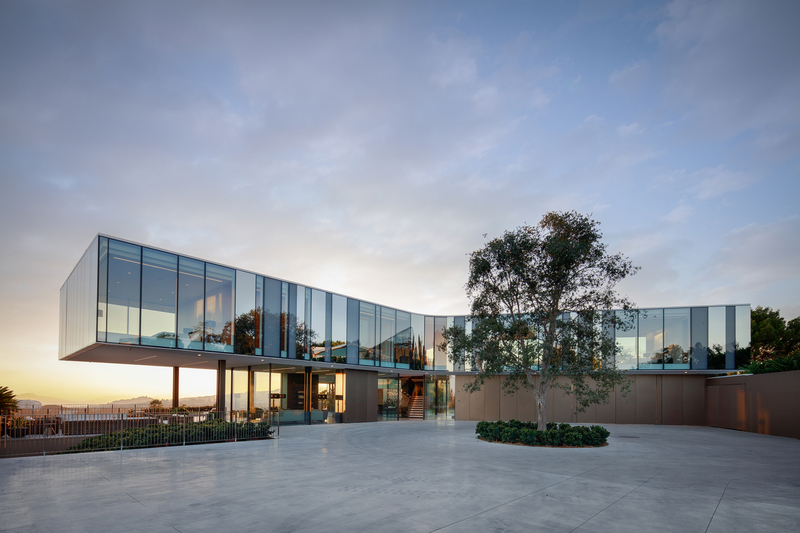 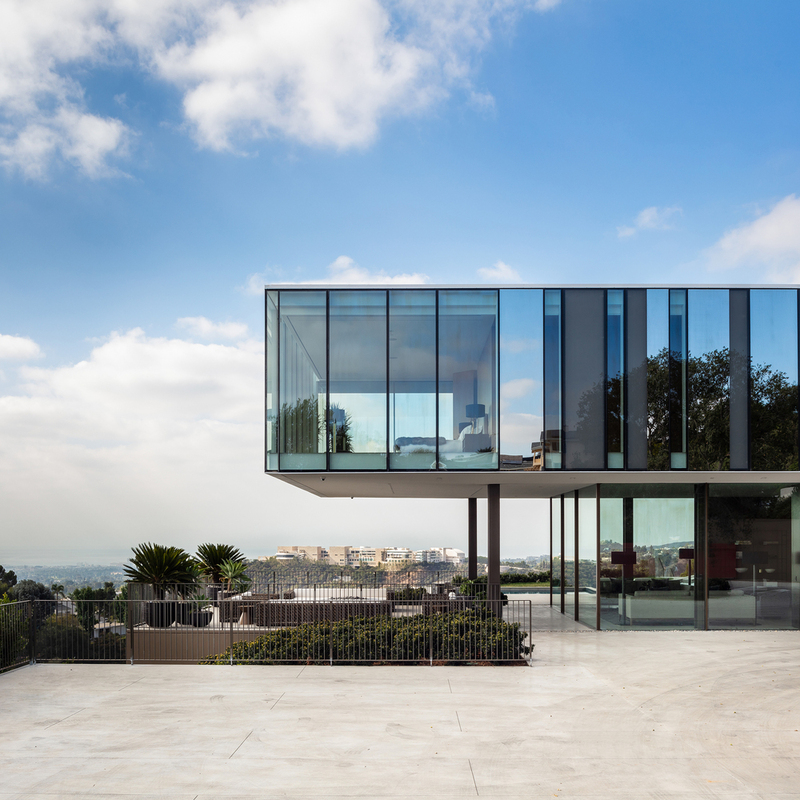 The three-story structure is wrapped in glass that mirrors its sweeping views which are unobstructed from the Getty Center to Long Beach, Century City, and Downtown. 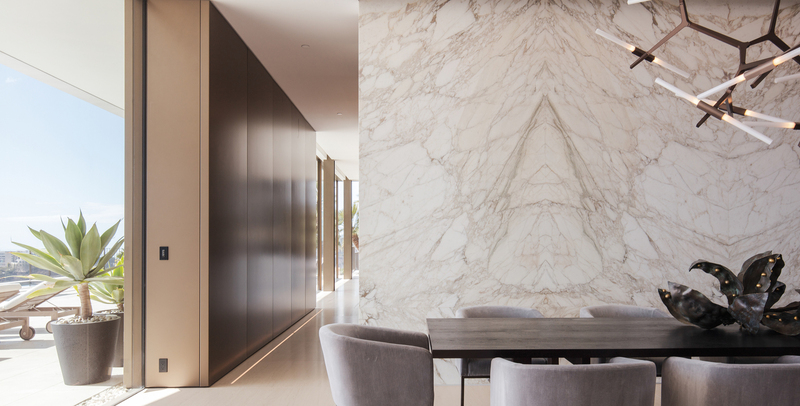 Designed by SPF: architects, the client wanted a luxurious house where she could throw large events and host her extended family, but she also wanted it to feel welcoming. 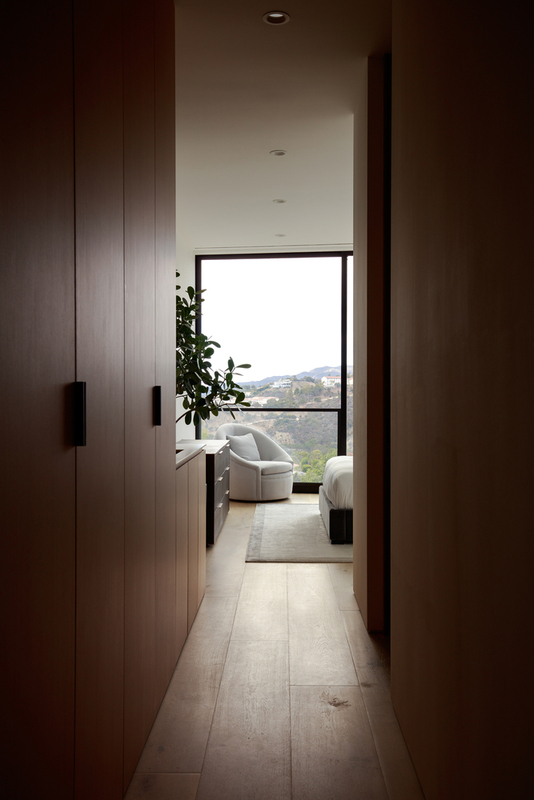 To make this work, SPF needed the home’s spaces flow into one another with ease. 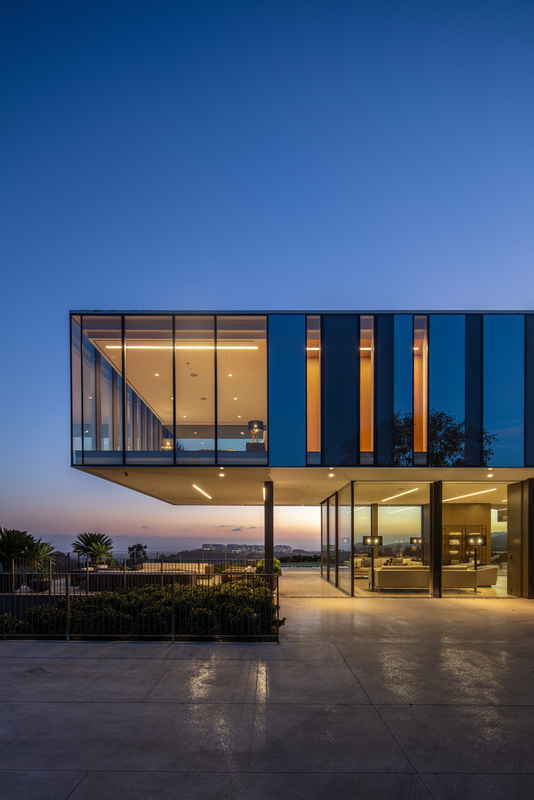 The outcome is a dynamic glass and steel staircase stretching through the core of the structure visually joining all zones. 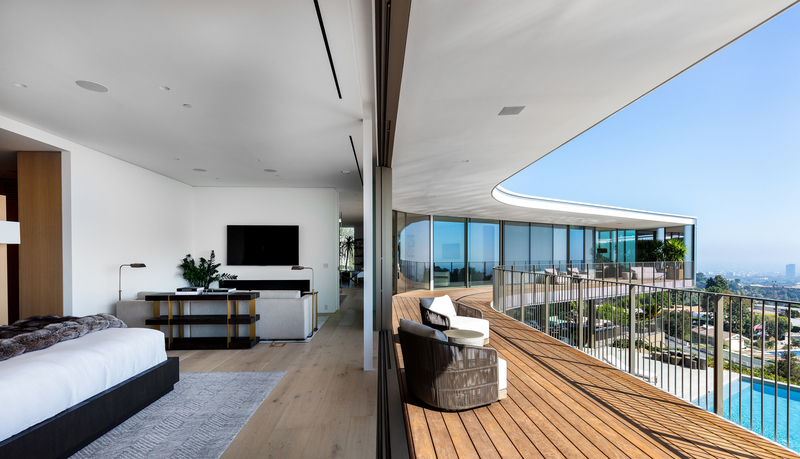 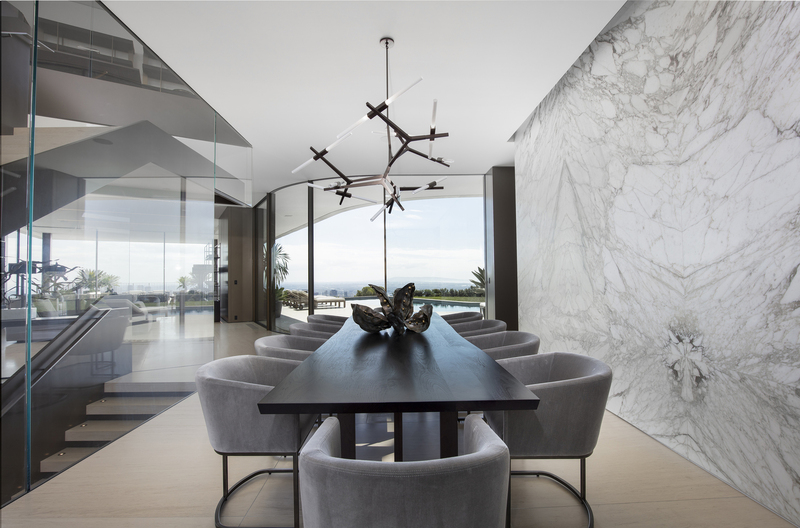 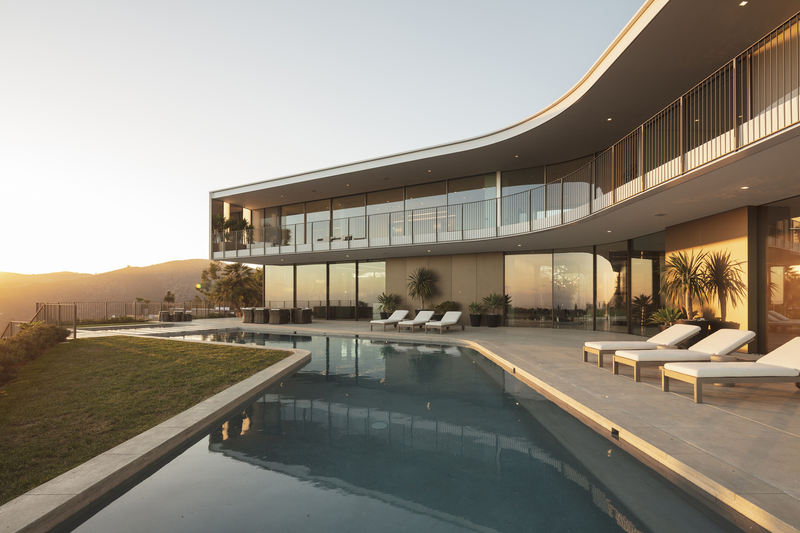 The light in Los Ángeles is very dynamic and can be both calming and energizing, as the site is positioned quite high above the city with almost no impediments, SPF wanted the Orum Residence to capture the spirit of these dualities. 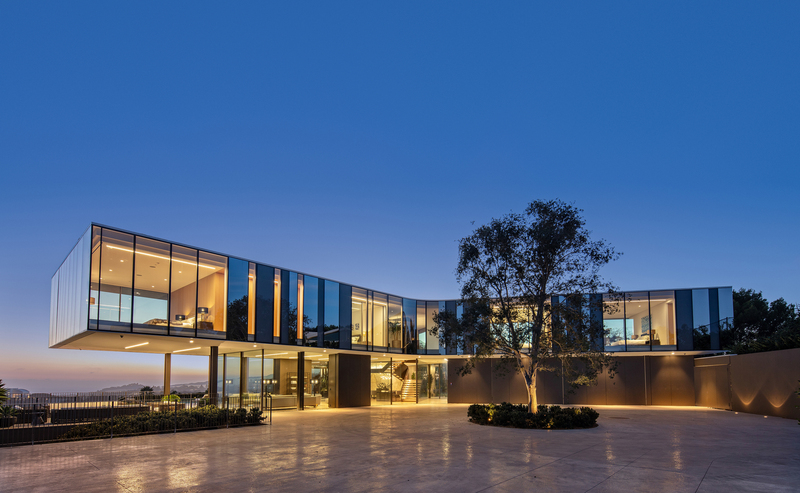 The huge panels of glass provide the home’s inhabitants with a strong connection to nature and the daily and seasonal arcs of light.